WHAT'S HAPPENING WITH POTOMAC MANAGEMENT? The 2019 Potomac Management Biggest Loser Challenge in the books! Congrats to the winner! A healthy and motivating way to start the new year! Potomac Management Solutions is excited to participate in the annual PWC Social Services Department “Christmas Gift for Foster Children” program. We’re thrilled to contribute to this great program in our community. PWC Social Services provides approximately 120 local children/youth much needed services. To participate in future events, contact jblakely@pwcgov.org. Habitat for Humanity Volunteer Work! Potomac Management Solutions hard at work volunteering at the Habitat for Humanity Restore facility in Woodbridge, VA.
PMS is excited to be starting a new mult-year Adjudication contract in support of TSA Personnel Security. Potomac Management Solutions CEO, Diane McCain, proudly being awarded the 2018 Women of Power Award at the 2018 DC Women of Power Conference! PMS has been awarded the Prime CBP Polygraph Examinations Contract! Potomac Management Solutions, LLC, is excited to announce becoming a partner of the Military Spouse Employment Partnership (MSEP)! Launched in June of 2011, the Military Spouse Employment Partnership is a part of DoD’s broader Spouse Education and Career Opportunities initiative. The program seeks to help military spouses seek their career goals and reduce the 26% unemployment rate of military spouses as well as the 25% wage gap between military and civilian spouses. The Military Spouse Employment Partnership offers resources such as education, training, career guidance, mentoring, as well as bringing together corporate partners dedicated to hiring military spouses and serving the DoD. Potomac Management Solutions is proud to be one of MSEP’s 360+ partners and join companies such as Starbucks, Kaiser Permanente, Comcast, Walmart, Amazon, American Express, Bank of America, and Microsoft in assisting the nation’s more than one million military spouses find quality employment. Potomac Management Solutions was awarded the Small Business Achievement Award by the Department of Homeland Security. Potomac CEO and EVP honored on Minority Enterprise Advocate Magazine Cover! Potomac CEO and EVP were honored to be on the cover of the Minority Enterprise Advocate Magazine July-August 2018 issue. MEA highlights GovCon minority small businesses that are making an impact in the Federal space. The article highlights not only Potomac Management's achievements in the government contracting arena but also their numerous community service and outreach efforts as well. Potomac Management Solutions has teamed up with Accenture and is awarded the Customs and Border Protection Polygraph Examination Support Services contract. Fort Campbell Remote Coding Award! 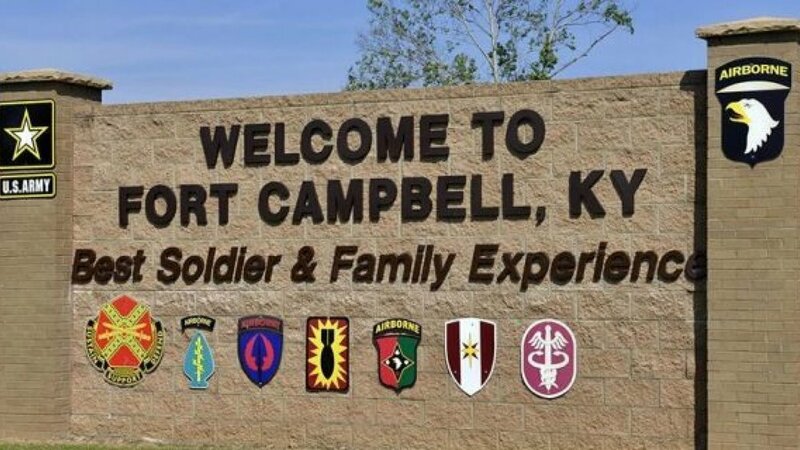 Potomac Management Solutions has been awarded the prime contract to provide Remote Medical Coding in support of Fort Campbell! PMS Awarded OPM Background Investigations Contract! Partnering with SCIS, Potomac Management Solutions has been awarded a contract to provide Background Investigative Services in support of the US Office of Personnel Management. DHS's Reverse Industry Day is a unique learning event where industry representatives present their perspectives to the acquisition workforce. It is designed to improve DHS's understanding of industry practices related to identifying, tracking, pricing, bidding, winning, and performing on DHS contracts. The 4th DHS Reverse Industry Day featured two role-play session, with additional topics of interest presented during the 1-day program. PMS' CEO, Diane McCain, participated in one of the featured role play sessions. This session, Enhancing Acquisition Planning through Early Engagement with Industry, shared the importance and objectives of requests for information (RFI) and one-on-one meetings and how to foster communication and engagement between government and industry. PMS provided volunteer services during the Dulles Chamber Golf Scramble on June 19, 2017. Proceeds were donated in support of Hope For The Warriors. Hope for the Warriors is a nonprofit Veteran Service organization that provides assistance to combat wounded service members and their families. For more information on Hope for the Warriors or how you can be of support to their mission, visit www.hopeforthewarriors.org. As a requirement of the Summer Internship with Potomac Management Solutions, the interns must seek out and establish a program of assistance to a charity/charities of choice. This year the interns, Jared McCain, Brittani Randall, Aiyanna Sanders and Austin Zehel have committed to providing weekly volunteer services at The Good News Community Kitchen in Occoquan, VA. The Good News Community Kitchen is a 501(c)3 organization that provides hunger relief to those who are hungry and in need in Northern VA, DC and Columbia, SC. For more information on The Good News Community Kitchen or how you can be of support to their outreach program, visit www.tgnck.org. We're excited to announce Potomac Management Solutions has received its Minority/Women/Small Business Certification and is now a certified SWaM vendor! This certification is assigned to Small, Women-owned, and Minority-owned business enterprises in order to enhance business opportunities in the Commonwealth of Virginia. Potomac Management Solutions has successfully completed all training requirements to become one of the newest V3-certified company through the Virginia Values Veterans (V3) Program! Potomac Management Solutions is awarded the Defense Nuclear Facilities Safety Board Supervisory Training Contract. Potomac Management's Corporate Office moves to a new location! Come visit us at our new address. Potomac Management Solutions’ Summer Interns established a Community Service Program with ACTS (Action in Community Through Service). As part of Potomac’s Summer Internship requirement, Jared McCain, a rising Junior at Howard University in Washington, DC and Brittani Randall, a rising Sophomore also attending Howard University, initiated the development of the Community Service Program for Potomac Management Solutions. Each Friday during the Summer, Jared and Brittani collect food donations from local Woodbridge, VA merchants for ACTS’ food pantry. Jared and Brittani, along with members of Potomac Management’s Executive team, plan to assist in ACTS warehouse, sorting, clothing and housewares donations prior to their return to school in the Fall. Potomac Management Solutions is awarded the Transportation Security Administration Polygraph Examination Support Services Contract.